The “New Models of Innovation for Development” international workshop was held at the University of Manchester, UK on 4-5 July 2013, and shared and explored some of these new models with 16 papers presented (see below) on topics including “inclusive innovation”, “base-of-the-pyramid innovation”, “grassroots innovation”, “responsible innovation”, “jugaad innovation”, “pro-poor innovation” and “innovation platforms” . Roald Suurs, Fernando J. Diaz Lopez, Jenny de Boer and Matilde Miedema A systems-based model for successful upscaling of sustainable innovation at the bottom of the pyramid Theo Papaioannou How inclusive can innovation and development be in the 21st Century? Pankaj Sekhsaria Technological jugaad as a ‘culture of innovation’ in India Judith Sutz & Cecilia Tomassini Knowledge, innovation, social inclusion and their elusive articulation: when isolated policies are not enough. 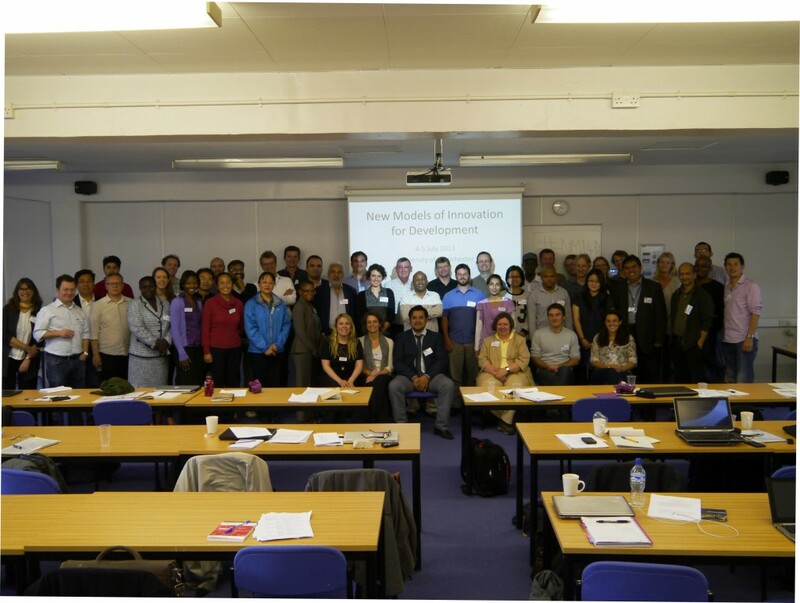 The workshop was a joint initiative of the Centre for Development Informatics, Institute for Development Policy and Management, and Manchester Institute of Innovation Research, all based at the University of Manchester.